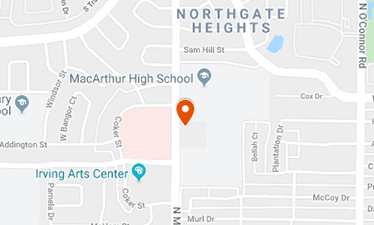 Irving, TX 75062Find us in the Medical Plaza adjacent to MacArthur High School. Come and see us for a free initial exam! Dr. Schofield is the best. He was thorough and provided me with several options, I am so pleased I went to him! Highly recommend!!! Professional and personable all in one!!! Dr. Schofield even speaks Espanol!!! Ten thumbs up! Dr. Schofield and his staff are awesome!!! As an adult in braces, they have always answered my questions and make me feel comfortable. Just got the braces off today and they are absolutely beautiful!! At Irving Orthodontics, we are proud to provide the most affordable, high-quality orthodontic treatment in DFW. Dr. Matthew Schofield and his team are rewarded every day by helping kids and adults alike achieve the healthy, straight smiles they deserve. Our practice specializes in comprehensive orthodontic care and offers individualized options to treat all cases of dental and jaw misalignment and malocclusion. At the initial consultation, Dr. Matthew performs a thorough assessment of your teeth, bite, and jaw. He listens carefully to your concerns and goals and clearly explains your options, what to expect, and the features of each solution. If you have mild teeth straightening needs, Dr. Matthew can often complete treatment in six months or less. 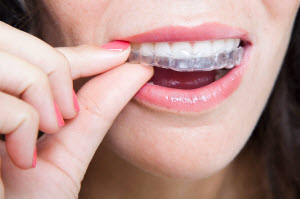 His expertise with clear braces or aligners like Invisalign can help patients with mild to even complex orthodontic issues discretely obtain a beautiful new smile. At Irving Orthodontics, you can count on Dr. Matthew's skill, gentle touch, and empathetic chairside manner to make your experience positive and effective. Because orthodontic treatment can fail without the proper use of retainers and sufficient follow-up, our team is dedicated to helping patients maintain their new smiles for a lifetime. Dr. Matthew is uniquely qualified to provide the most up-to-date orthodontic procedures available. His efficient treatment results in fewer appointments and predictable treatment length. He accomplishes this by initiating care at the most opportune time and using advanced technology that offers comfort and satisfaction. Please see our “Meet The Doctor” page for more information about Dr. Matthew's education, affiliation, certifications, and fellowships. Dr. Matthew has a uniquely personal perspective on orthodontics, having received braces twice as a teenager and clear aligner treatment as an adult. Because he knows how disappointing orthodontic relapse can be, he works hard to ensure you or your child never experience have to experience this. If you need braces or have had a relapse after treatment, Dr. Matthew has personally been there and can share his experience and perspective every step of the way! Our patients refer their friends and family to Irving Orthodontics because of confidence they have in Dr. Matthew after seeing their results. Excellent outcomes and compassionate care are what we are all about. The staff at Irving Orthodontics is standing by to answer your questions. CALL US TODAY!